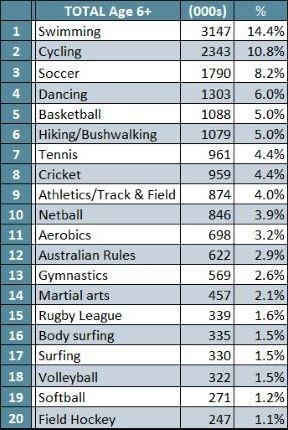 So I came across this very interesting survey from Roy Morgan on the most participated sports in Australia. 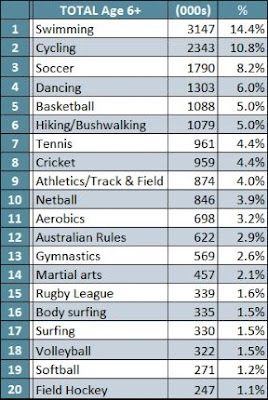 Of course I have only taken these below tables at face value, and have not bothered with looking into the specifics of how they are derived and the assumptions made etc etc but the table is pretty surprising to me!!! 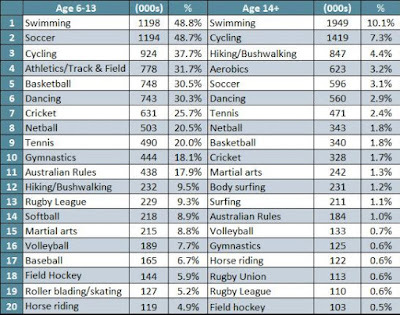 Also there is a table that shows sport participation rates based on Ages 6-13 and Age 14+. 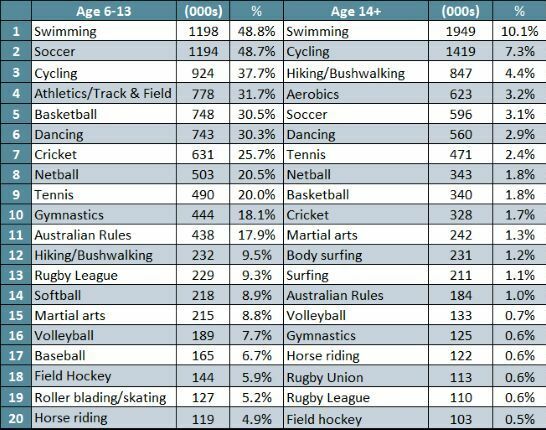 It seems to me that the future of football ("soccer") in Australia is looking up given that 1,194,000 children aged 6-13 play the game, the second highest of any sport for that age group. There always is this prevailing concept that AFL, NRL and the vast horde of other sports in Australia have "stolen", "drowned out" or "snatched away" all the talent available that will eventually be available to the Socceroos. Perhaps these statistics suggest otherwise? !